The captivating autobiography of the first Western nun ordained in Thich Nhat Hanh's Vietnamese Zen lineage. In 1988, Sister Annabel Laity became the first Western person to be ordained as a monastic disciple in Thich Nhat Hanh's Vietnamese Zen lineage. She was given the Dharma name Chan Duc, which means True Virtue. Thirty years later, Sister Annabel is a much-loved senior Dharma teacher in the Plum Village community. She teaches and leads retreats worldwide, and is widely recognized as an accomplished and insightful Buddhist scholar. 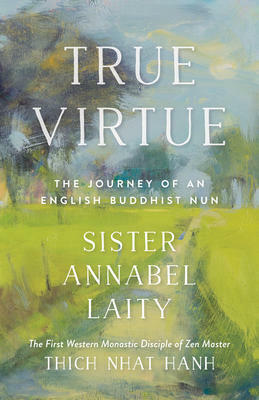 In this autobiography, Sister True Virtue shares the trials and joys of her lifelong search for spiritual community. First inspired by the kind Catholic nuns who ran her primary school, she encounters Buddhism while studying ancient languages at university in England. A few years later, when teaching classics in Greece, she meets a Tibetan Buddhist nun, an encounter that changes the course of her life and eventually leads her to her teacher, Thich Nhat Hanh, and to her spiritual home in Plum Village, Thich Nhat Hanh's practice center in France. True Virtue is a timeless testament to the importance of spiritual exploration, and offers a unique perspective on Thich Nhat Hanh's monastic community.